Wakefield's Great Valu Market | You'll find it here! Fresh food, great values, service with a smile, and friends on every aisle. 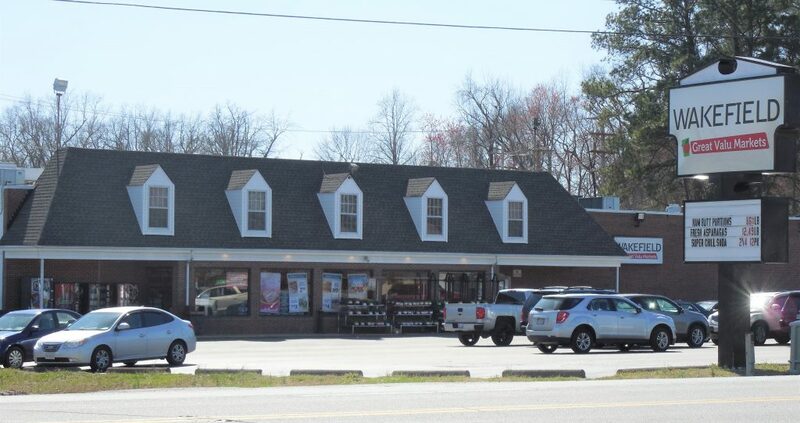 Visit Wakefield's Great Valu Market at 608 N. County Drive in Wakefield, Virginia. Whatever it is you crave today, you'll find the ingredients here. Fresh fruit....You'll find it here. Bakery delights....You'll find them here. Need the basics like eggs, milk, butter, and flour? You'll find them here. Fresh vegetables and fruit....You'll find them here. A variety of seafood....You'll find it here. Fine cuts of meat....You'll find them here. Craving something sweet? You'll find it here. and friends on every aisle. Thank you for shopping at Wakefield’s Great Valu Market. We take pride in being your neighborhood market for high quality food choices at outstanding values. We delight in seeing familiar faces every week and meeting new customers who are visiting for the first time. Being great is paramount when you’re a Great Valu Market. So when you shop at Wakefield’s Great Valu Market, we guarantee four things – great food, great values, great service with a smile, and great opportunities to see friends on every aisle! Start saving today with our mobile app. Coupons and more! Great Values on Deli Trays - Details! THE LOCAL SPOT For A Large Variety of Keg Beer. Call or stop by the store to place your order. Do you have a favorite recipe you’d like to share with the community? Send us your recipe and have it featured here on our website and on our facebook page. Get details about the Truckload Meat Sale April 17-19, 2019!